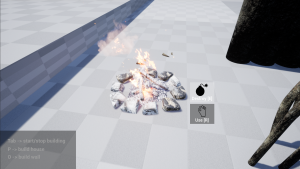 Campfire: Small structure made of three Stones and two Wood Sticks. 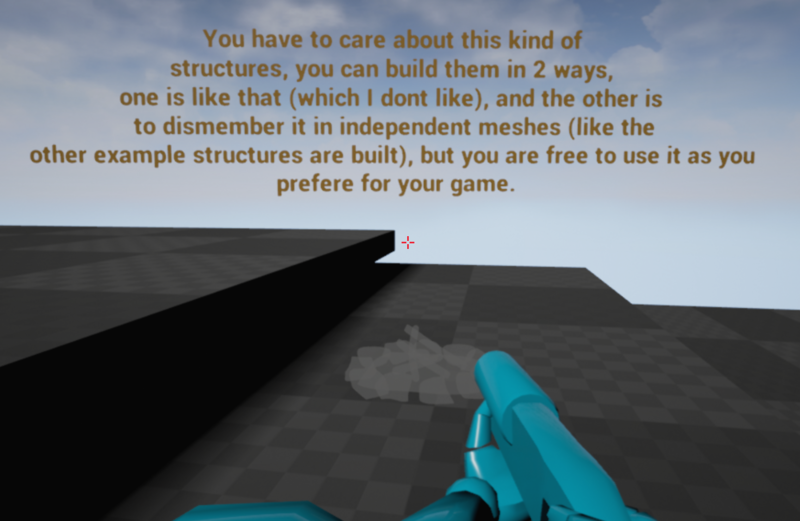 You can’t see any difference when you add materials but upon completion it gets finished, with collision and with an extra interaction “Use” that lets you put it on fire. 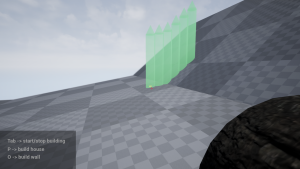 This structure also has ground alignment so it gets turned when build on an slope. 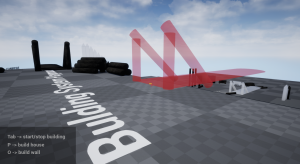 Improved building process. 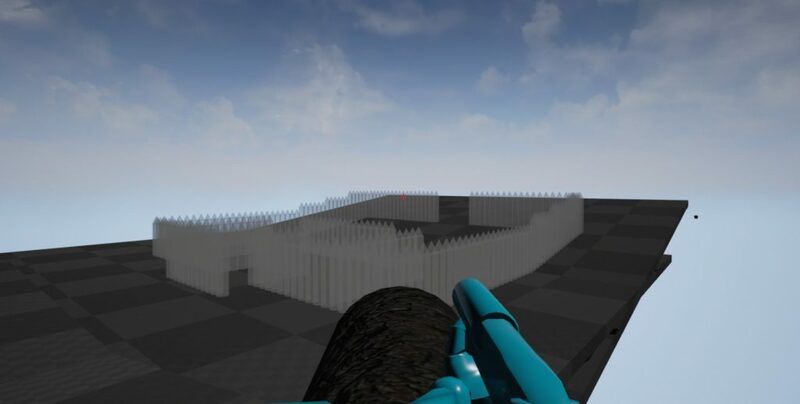 Now you can build where you are aiming at. 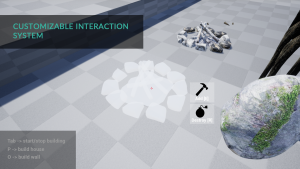 Added interaction availability: Now you can create interactions that can be only interacted during building process, after finishing building or everytime. 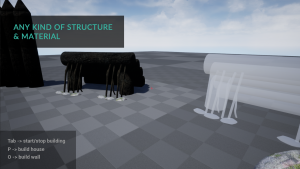 Structure examples: One with more interaction options (campfire that gets on fire), a wooden wall that adapts each log to the ground height and a bridge that can only be build in ground borders. 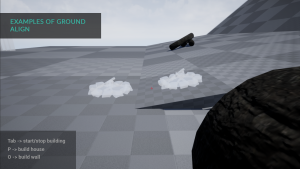 New example map with tips and examples. 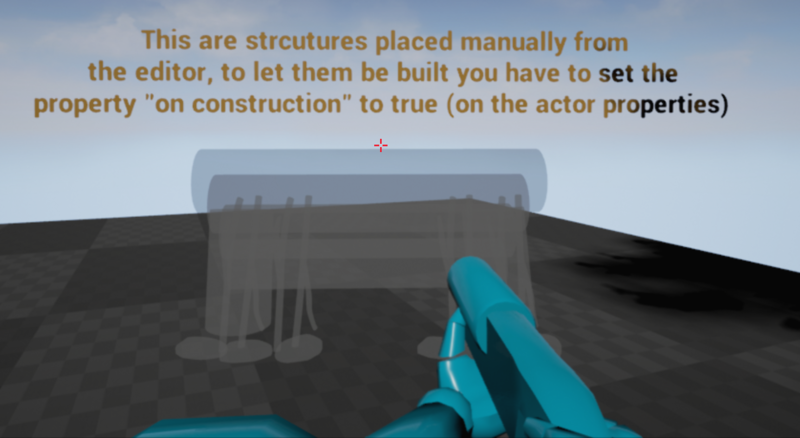 Now you can place structures from inside the editor and choose if they will show as “Under construction” or finished. 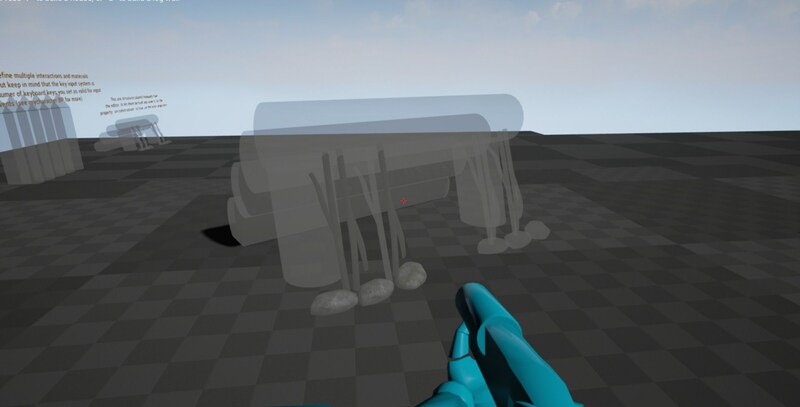 Implementation of ground checkers: This way you can prevent structures to be half floating on a ground border. 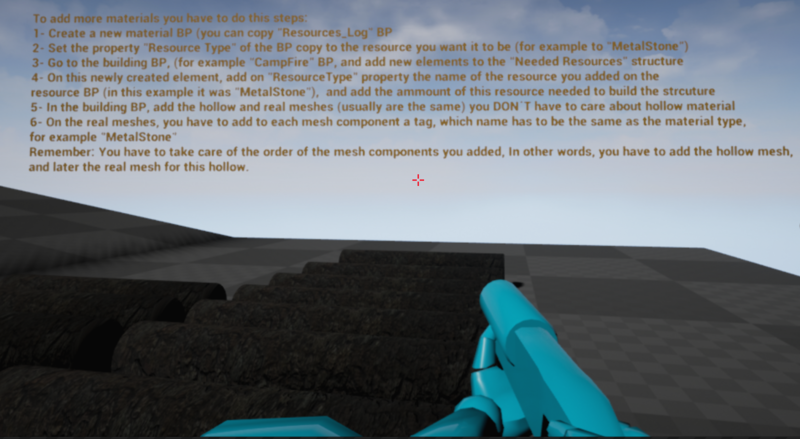 Code cleanup: Code has been improved, refactorized and more commented. 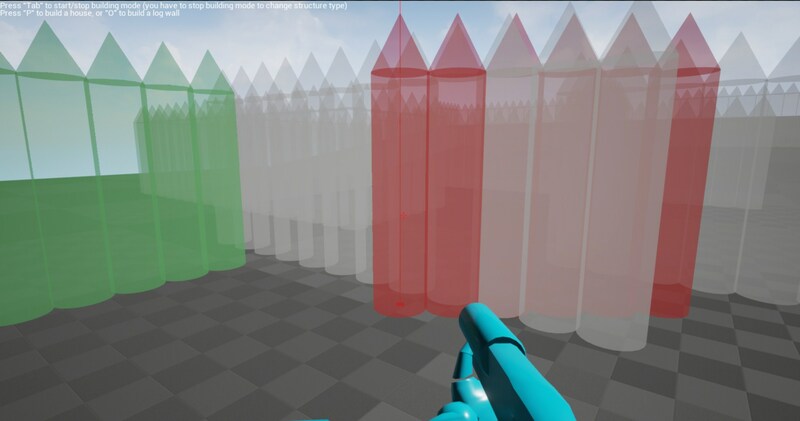 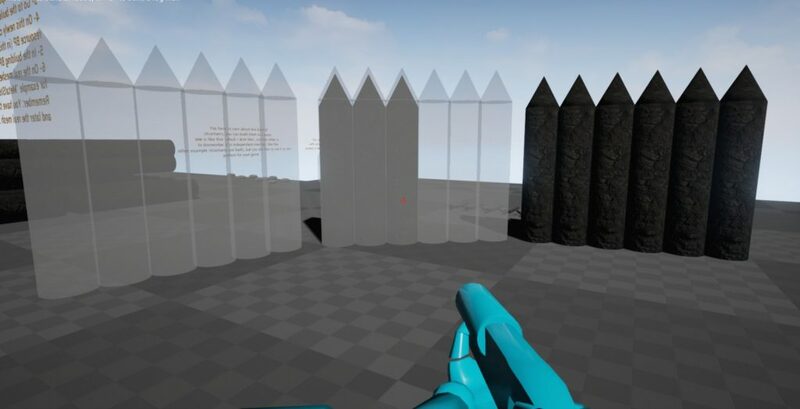 Interaction system targeting redone, now you only interact with the object you are looking at, so from now you wont be able to interact with more than one object at once. 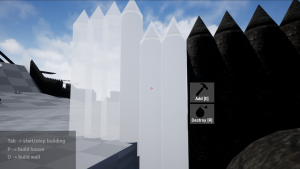 UMG included, now interaction buttons are shown trhought UMG widgets, on screen relative location, not on world location. 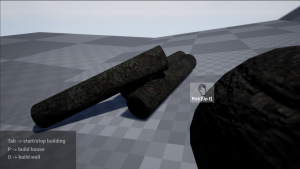 Materials (like logs or chunks) are now physics objects, you can interact with them and, when you leave them on the ground, they will simulate physics. 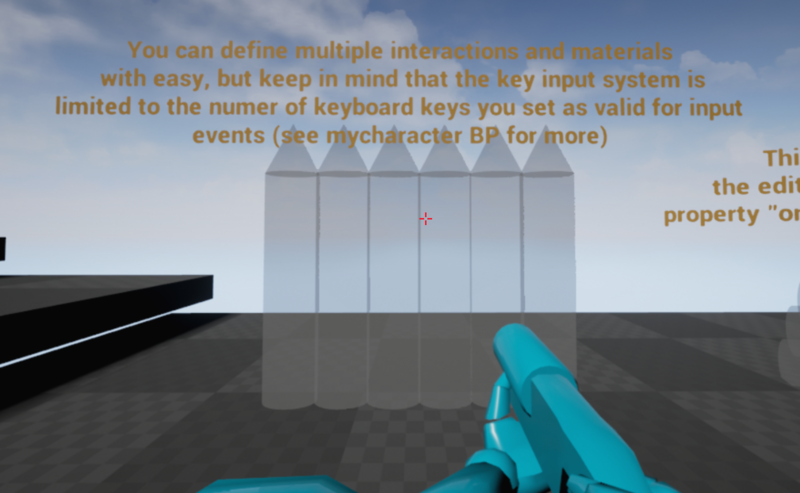 In the video I don’t see effects, is it easy to add particles and sounds to different kind of events in the gameplay?